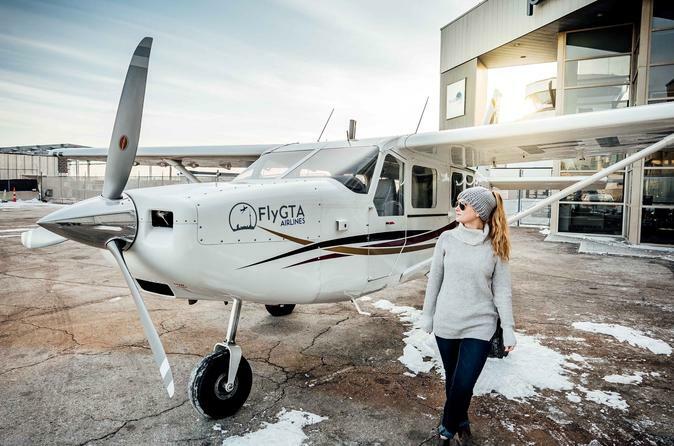 You start at Billy Bishop Toronto City Airport, where a pre-flight briefing takes you through the tour, covering the sights you won't want to miss when you're in the air. Next, head to your plane for a breath-taking takeoff that puts you right at the edge of the high-rises of Toronto's downtown. As you soar over the city, admire the unique scenery of the Scarborough Bluffs and the Harbourfront, along with the dome of the Rogers Centre. The plane makes 3 passes by the CN Tower, bringing you almost close enough to touch one of the tallest structures in North America. At the end of the flight, one of the most scenic approaches in the world brings you back down along the waterfront for your touchdown at the airport.